The final CD of the John Cage Shock series features John Cage's 0'00" (1962), also referred to as 4'33" No. 2, performed by the composer, with daily activities such as writing and drinking coffee amplified by contact microphones into sonic abstraction, following the score's directions: "with maximum amplification (no feedback), perform a disciplined action." Next is Composition II for 2 Pianos (1960/1961) by Michael von Biel, lovely and sparse, performed by David Tudor and Toshi Ichiyanagi. 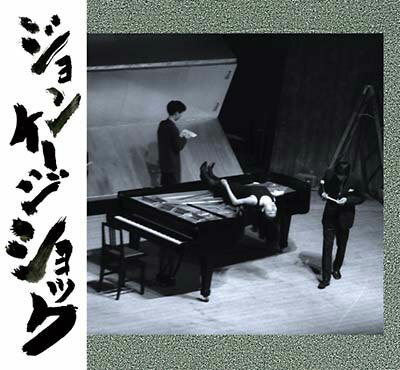 The disc closes with Ichiyanagi's Piano Music #7 (1961), performed also by Tudor and Ichiyanagi, beds of silence disrupted by pianistic stabs, music box madness, traffic recordings, percussive thumps, tape manipulations and more. Features rare photos plus liner notes in Japanese and English plus commentary by Toshi Ichiyanagi.